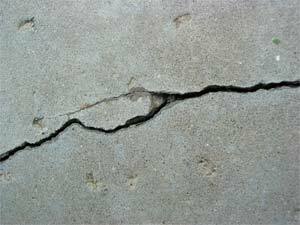 Any cracks in the floors or walls of the foundation, which could lead to displacement, such as shifting, sinking or heaving. While you may recognize a problem, you will need an foundation repair expert to inspect it. This will help locate the conditions that have caused any of the problems to appear, since they are not always obvious. Too many people simply fill in the cracks and treat the symptoms rather than the source of the problem. By covering the damage that appears, homeowners fail to get to the root of the problem – this allows the damage to worsen and foundation issues to continue to grow. Edens Structural Solutions has a team of foundation repair specialists, who have each evaluated and repaired countless foundation problems in Oklahoma. We do highly recommend customers hire a third-party structural engineer to ensure your foundation and/or slab issues are correctly identified and addressed. With a free consultation from an experienced Edens Structural specialist, our staff can explain possible causes and solutions for your foundation issues. We will offer advice on the best way to treat the problem in the most cost-effective and permanent manner. We help to avoid the disruption and expense of knocking down walls or demolishing elements; we use anchors, concrete lifting foam, and foundation piers to return walls and slabs back to their original position. Contact Edens Structural Solutions today for a free foundation estimate for your home!